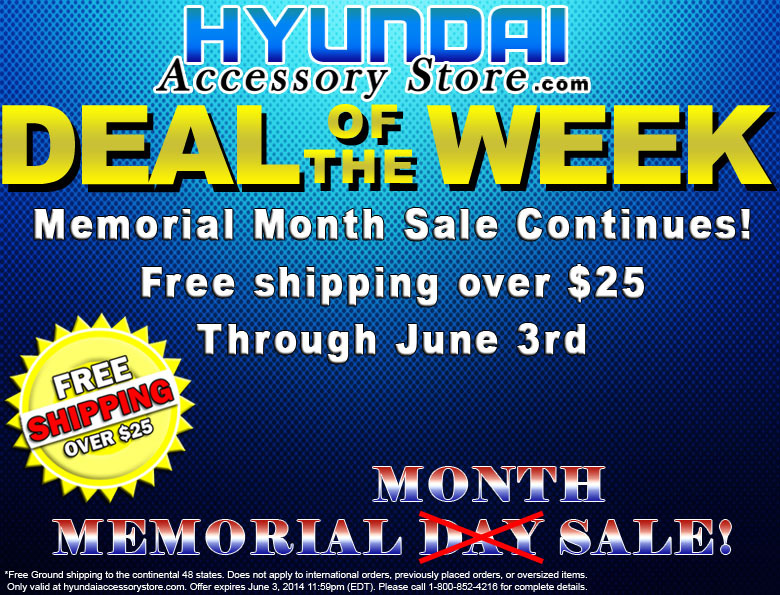 Hyundai Accessory Store’s Deal of the Week – Memorial Month Sale Continues! Offer expires May 31, 2014 11:59pm (EDT). Please call 1-800-852-4216 for complete details. 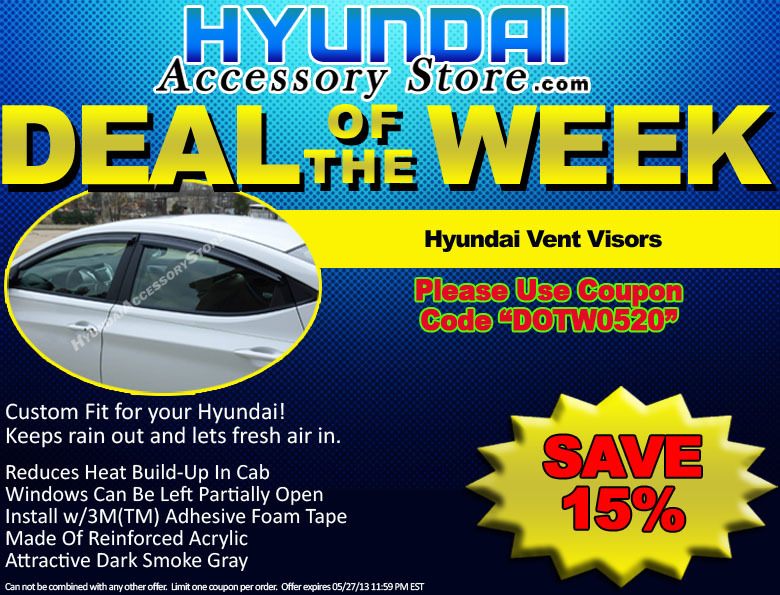 This entry was posted in Hyundai, Hyundai Accessory Store on May 27, 2014 by hasblog. *Free Ground shipping to the continental 48 states. Does not apply to international orders, previously placed orders, or oversized items. Can not be combined with any other offer. Limit one code per order. 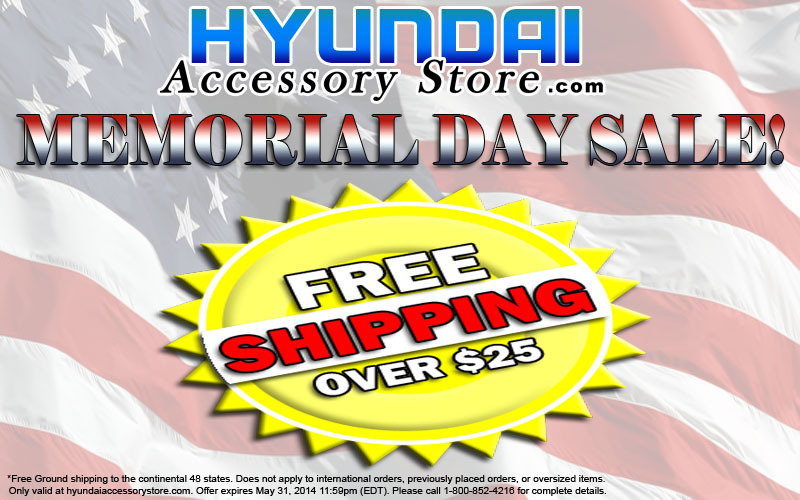 Only valid at hyundaiaccessorystore.com. Offer expires May 31, 2014 11:59pm (EDT). Please call 1-800-852-4216 for complete details. This entry was posted in Hyundai, Hyundai Accessory Store, May on May 22, 2014 by hasblog. Custom Fit for your Hyundai! Keeps rain out and lets fresh air in. Offer expires May 27, 2014 11:59pm (EDT). Please call 1-800-852-4216 for complete details. This entry was posted in Hyundai, Hyundai Accessory Store on May 20, 2014 by hasblog. Offer expires May 20, 2014 11:59pm (EDT). Please call 1-800-852-4216 for complete details. 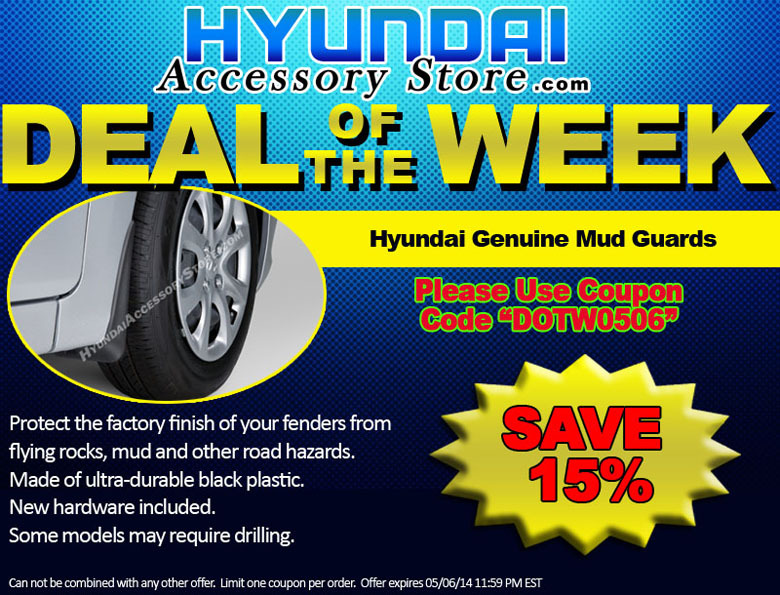 This entry was posted in Hyundai, Hyundai Accessory Store on May 13, 2014 by hasblog. Offer expires May 13, 2014 11:59pm (EDT). Please call 1-800-852-4216 for complete details. 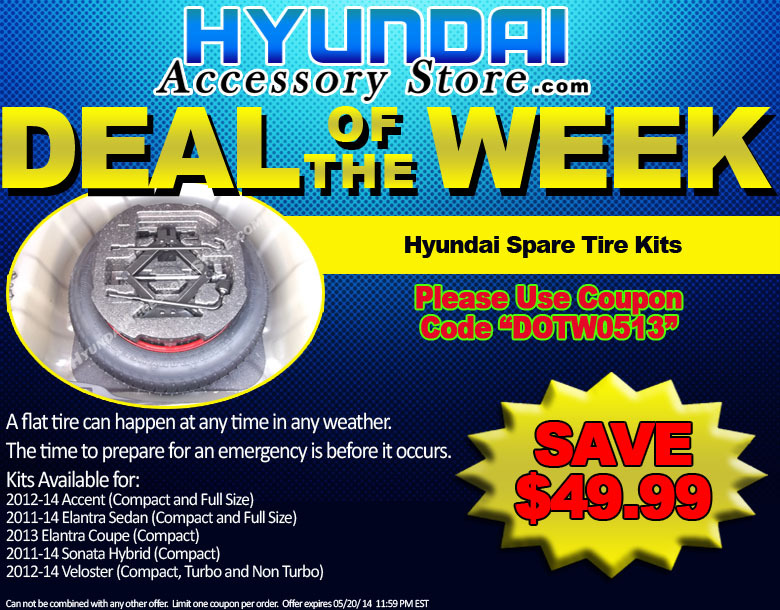 This entry was posted in Hyundai, Hyundai Accessory Store on May 6, 2014 by hasblog.